P.V.C strip curtains from Star Plus, easy to install, easy to maintain and a lot quieter that any other door of its kind, PVC strip doors are also an ideal way of being able to keep your external door open but still not feel the effects of the wind and noise from outside. 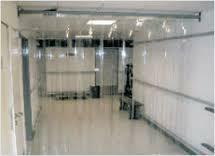 One of the biggest advantages of PVC curtains is the ease of access they provide for pedestrians and vehicles in areas of storage, delivery and factory floors where movement between areas is vital and needs to be as easy as possible. 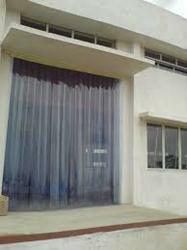 PVC Strip Curtains offered comprise quality finished strip PVC door curtains. 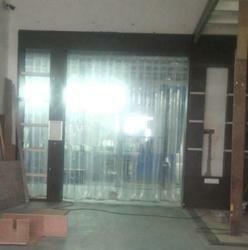 Climate Control Strip Curtains offered is available in flexible, clear construction finish. 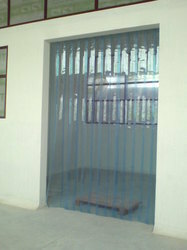 Ribbed Strip Curtain offered is available in different finish sizes as demanded by customers.